The country’s location is an asset for the Canadian marine ports. Canada has some of the most important gateways for bridging the gaps between consumer markets all around the world. The Canadian government is taking a number of measures to strengthen the marine port system of Canada. They are divesting the domestic and regional ports, so they can be easily operated by local companies. Transport Canada is the central authority that is in charge of divesting and monitoring the operations of marine posts. The department has been playing an active role in transferring and divesting regional and local ports owned by the country. Early in 2014, Transport Canada proposed a plan (Economic Action Plan) to divest, maintain and monitor federally administered marine ports. The plan proposes to offer approximately $33 million dollars, which will facilitate the divestiture process of the Canadian federal ports. If executed successfully, the Economic Action Plan is definitely going to strengthen the Canadian marine ports network. Funds will only be allotted to the recipients who meet the eligibility criteria set by the government. The applicant can be a member of provincial, local, municipal or regional government, or the applicant can be a representative of private/non-government organizations. Additionally, any individual with proof of legal entity can apply for this program. The NASP (National Aerial Surveillance Program) is already keeping a watchful eye to make the marine ports networks are as secure as possible, yet the execution of Economic Action Plan 2014 will further improve transportation security. Although the plan seems well structured and strategically feasible, will it really strengthen Canada’s marine industry? 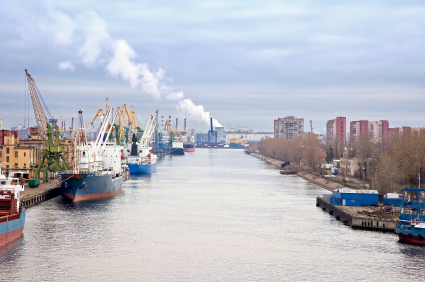 The divestiture will facilitate maintaining and monitoring ports, because it will be easier to manage several small networks of marine ports, rather than maintaining a single large complex network. The government will be installing aerial surveillance for ships, thus ensuring maximum port safety. In order for Canada to maintain its competitive advantage as an exporter, there is a critical need to upgrade the ports and terminal infrastructure. This is essential to meet the evolving needs of shippers and trade. To help meet these evolving needs, the Canadian government has pledged over $4 billion dollars to transportation projects in Ontario and Quebec. In the province of Quebec, the federal government has made efforts to modernize ports in Sept-Îles, Saguenay, Montreal, Trois-Rivières and Quebec City. The modernization has helped increase traffic on the Ontario-Quebec shipping corridor. As one of the biggest and busiest port networks in the world, Canadian ports play a key role in facilitating trade and commerce through marine routes. Therefore, a secure and well-maintained integrated marine network is not only important for Canadian economy, but will also benefit other countries, which rely on Canadian ports for business. The successful divestiture of marine ports will help the government achieve all these goals.